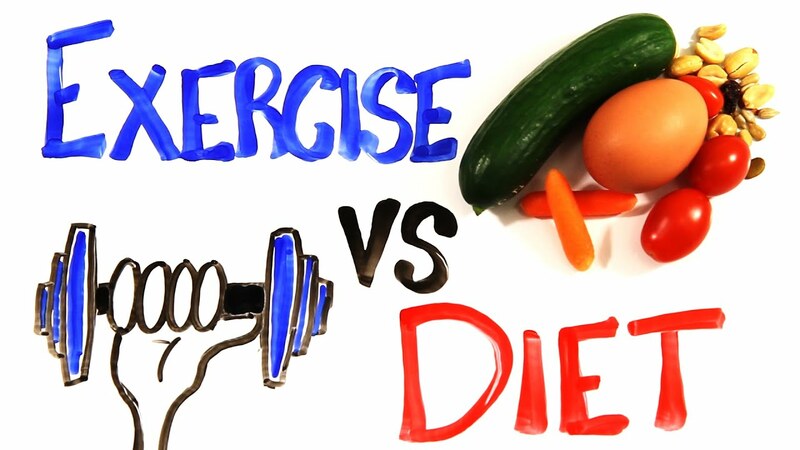 Home Nutrition Diet Or Exercise? Which Is More Important? There is no shortcut to achieving complete fitness & good health. There are several factors that needs to be balanced to ensure absence of diseases. These factors include sleep, stress, diet & exercise. All these factors needs to be balanced in appropriate amounts on a daily basis to ensure optimum health. Excess or inadequate amounts of these essential features can facilitate gradual development of various diseases. Wish to fit into that enviable prom dress or one piece gown for the long awaited party? Have you been visiting the gym for hours each day & still unable to see any difference in the inches?? Its time you pay attention to your diet. Studies have shown that diet helps much better in losing waistline inches rather than exercise, which helps gain only 3-4 % weight loss over 12 months. This is because staving off calories from the diet is much more feasible than burning those same amount of calories. Following 3 easy steps of swapping high calorie foods with their healthier versions can go a long way in helping lose inches. Firstly, stay away from all processed foods such as baked products, cakes, pastries, biscuits, frozen meals, etc. Secondly, increase intake of veggies & fruits & natural foods in your daily diet. Thirdly, include low calorie, high fiber snacks in between main meals such as water rich fruits, granola, low fat yogurt with muesli, etc. Do you feel sluggish during the day & find it difficult to drag through your work commitments for the day?? Your diet pattern may be to blame, says several studies. Skipping breakfast & resorting to junk foods through the day may be the culpable factors. These foods cause spikes in blood sugars, but later cause crashing of blood sugar levels which gives that lethargic feeling. Easy diet tips to prevent your energy levels from crashing down are firstly including 2-3 mini snacks in between main meals, i.e consuming a total of 5-6 meals during the day. These mini meals can be comprised of foods have complex carbs, proteins & essential fats to keep the metabolism going through the day. Secondly, include a serving of flavonoid rich berries & fruits or good amount of fluids during the day which helps keep the feeling of fatigue away, as mentioned by studies. Exercise has a crucial role to play in preventing heart diseases. Studies have shown engaging in aerobic exercises in form of walking, jogging, running, cycling 4 times a week alternated by resistance training helps in improved blood circulation, normal cholesterol levels & good heart health. Also, reduce sitting for more than two hours at a stretch, go for short walks around your work space. Studies have shown that both aerobic exercise & strength training have improved effects on spatial memory of aged adults. Benefits of exercise on increasing alertness & sharpness, is more pronounced that dietary benefits, as per current studies. Studies on health of women have shown that engaging in yoga asanas helps reduce stress & anxiety levels, feel more relaxed & be focused which are crucial in achieving higher libido.